Maximum value out of your waste, every time. For over a decade, the highly popular Mighty Mike has made superb quality compost, worldwide. 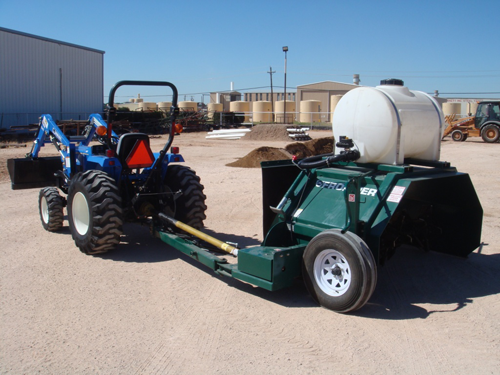 It has a proven track record as a highly productive and extremely low maintenance workhorse. 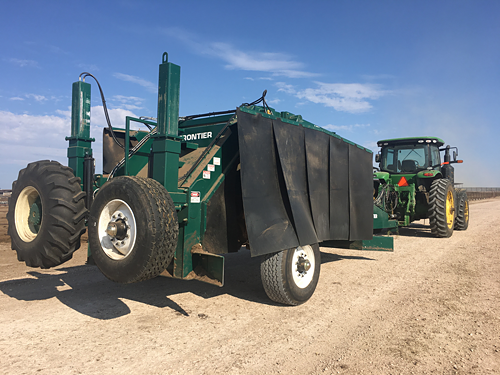 Our popular midsized turner has dramatically increased the effectiveness of windrow turners on hundreds of CAFO and other farming operations worldwide. The impact of our F Series turner has been felt around the world. 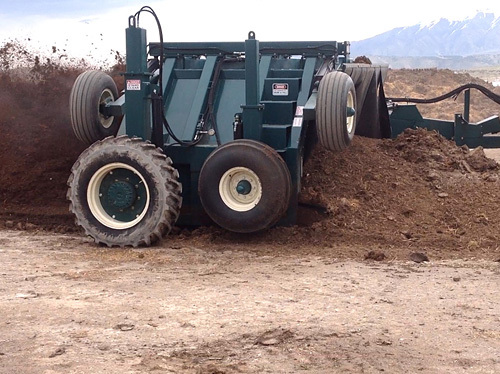 This rugged turner is used in virtually every composting situation as well as remediating heavy clay soils. Frontier’s powered far wheel assist solves tracking problems associated with larger tow behind turners. Production rates are also increased to levels that rival self-propelled turners. 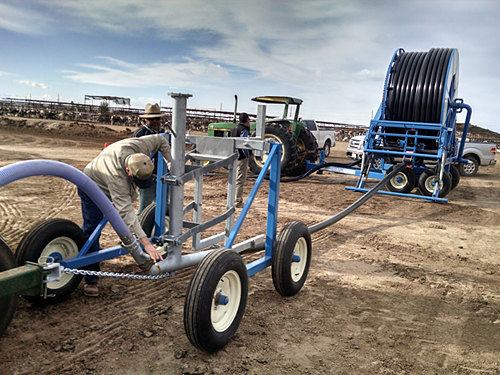 Our innovative reel watering systems supply unlimited water to the turner while turning windrows up to 1600 feet long. 2′ foot wide by 12′ foot long track provides full flotation and extra traction when needed. Easily configured from work mode to trailer mode for quick transport – on or off site. 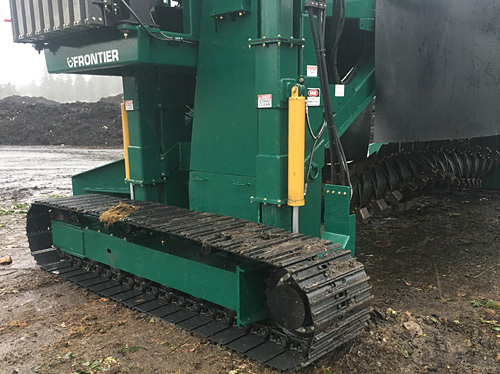 No other compost turner compares to Frontier’s strength, durability, reliability and 24/7 performance. We worked with the US Dept. 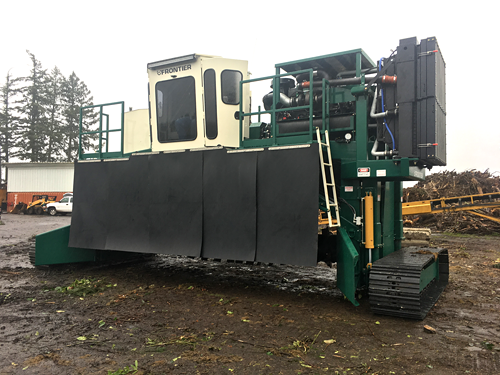 of Ag, and Oregon State University developing our patented aerating action to create the most rugged and beneficial composting equipment ever designed. 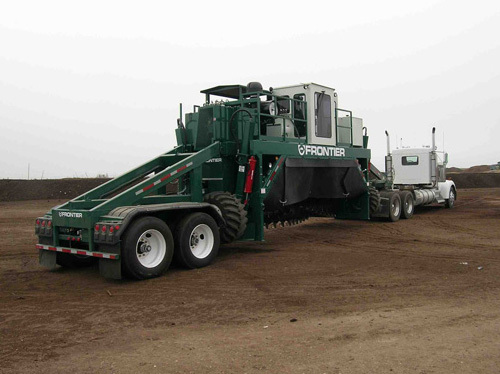 Frontier uses this design in every windrow turner we make from the largest to the smallest. Long, clumpy, stringy, rocky or lightweight, all the material is blown behind and away by our unique drum and paddle. 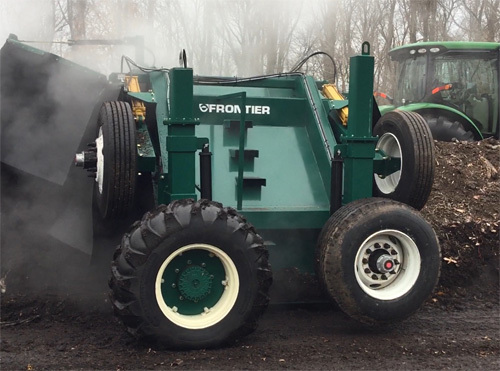 Our patented, unique designs are the toughest windrow compost turners in existence. 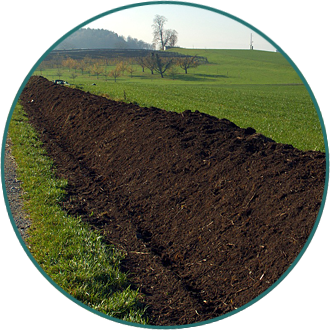 The principles of composting have not changed since the beginning of time. There is no mystery and there are no shortcuts; there is only management and the right equipment. Happy microbes make high quality compost, fast. 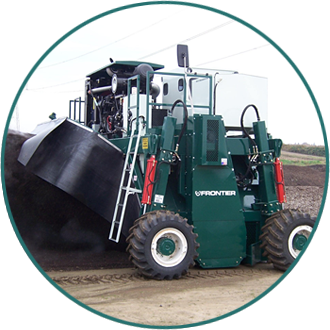 We make the best windrow compost turners in the world.